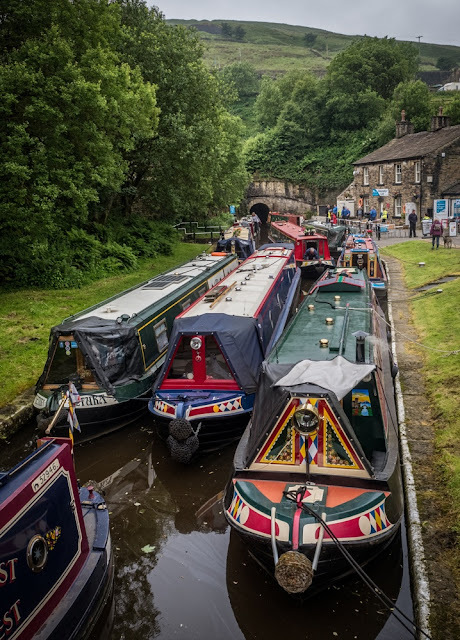 There was a 'boat jam' at Tunnel End yesterday after a record 12 boats made the passage through Standedge Tunnel from Diggle. The boats were taking part in the 'Pennine Explorer Cruise' organised by the Huddersfield Canal Society. The fleet will be stopping at Slaithwaite tonight and Milnsbridge the following night. Read more on the Huddersfield Canal Society website.